This cabinet was designed for an industrial atmosphere with a lot of dust. 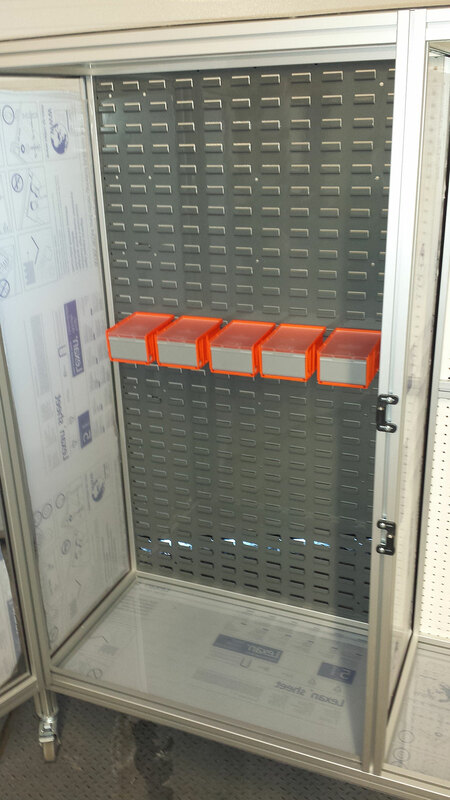 Our customer planned to store tools and small components in this lockable cabinet. One side features standard pegboard to allow flexibility for hanging storage. The other side has a louvered steel panel to allow this customer to hang a variety of sizes of Akro bins to store their components.